Observation - Snowdrops - UK and Ireland. Description: Walking around Heavitree we found hundreds of snowdrops on the ground. It was a very beautiful sight, spring feels much closer. Walking around Heavitree we found hundreds of snowdrops on the ground. 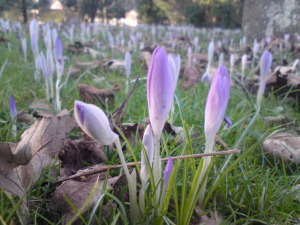 It was a very beautiful sight, spring feels much closer.